I love fries and I could almost always finish a whole serving by myself. But I also don’t mind sharing. 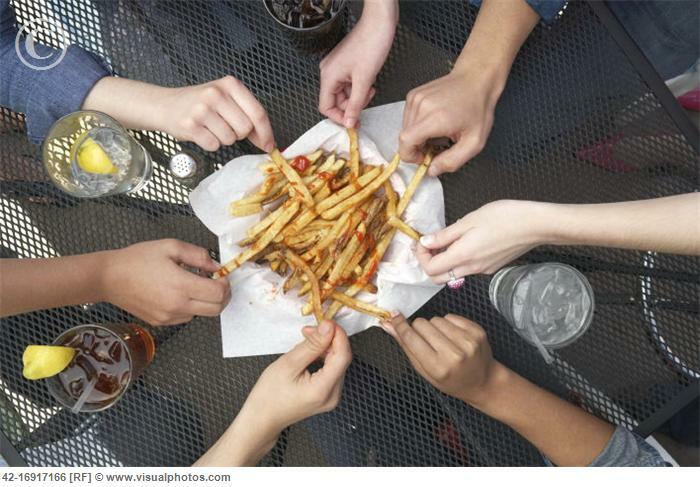 It’s actually kind of fun, because it’s hard to be sure how much fries I’ll get to eat when sharing with other people. I could end up only getting less than a handful, or if I’m lucky (and quick enough), I could end up with plenty. So, in a way, sharing can make things more exciting. Of course, there are times when I just don’t feel like sharing. I want a whole big portion of fries, and I just want to eat it all by myself. Nope, no sharing. Not even one fry. And should anybody dare to reach for MY fries, I can promise you all hell will break loose. It’s like a reenactment of the Gollum’s “my precious” scene from Lord of the Rings. See? Not that hard, is it? Now let me tell you what’s harder to do: It’s when you don’t want to share that ‘someone’ with anyone else. It’s that early stage in a relationship when things are not too serious, but you don’t want things to be too casual either. You like the guy, you like spending time with him, and all is good. But it bothers the hell out of you to think that he’s also spending time with other women. It’s such an irritating feeling, and for a second, you actually want to put a collar on him and lock him up! Have the “talk”. Yes, I know, it’s one of the most dreadful things to even think about. No one wants to open up and be seen as vulnerable. Well, get over it. It has to be done. Talk about where you see this “relationship” going, and what you want out of it. Be as clear and direct as possible – this is your chance to speak out and define the terms. Hi, I love your analogies, so easy to understand when you translate it back to fries! Looking forward to more fries lessons. It is so true. I never want to share my fries or men. But I’m bout to crush deez hot fries!! wonderful concept, and excellent entries… your connections and observations are so true! Haha that makes sense 🙂 thanks for dropping by and commenting ! lol. I think it was a great natural selection, replacing of mice and men with of fries and men. Keep them coming I will visit your site when I get the chance.